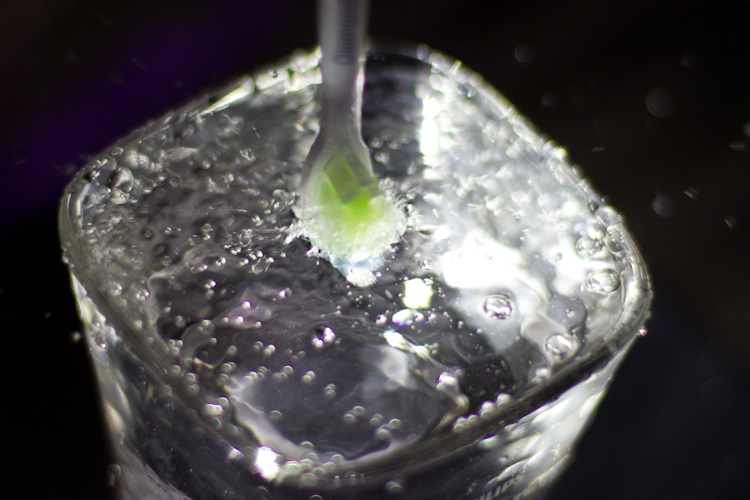 Over the last seven months I’ve been thoroughly reviewing the Philips Sonicare DiamondClean electric toothbrush, a really smart looking piece of hardware, definitely the Lexus of the toothbrush world, but how does it stack up to closer scrutiny and serious use from someone who really cares about their health? Read on to find out more. It’s almost 2014, and it’s been a big year for tech, everyone and their grandmothers all seem to have smartphones and tablets, but in my opinion 2014 is going to be all about investing in some tech to maintain your health, be it something as simple as a fitness tracking device like a smartwatch or a new toothbrush, Christmas seems like a good time to start as we mean to go on with these lifestyle gadgets as we move away from what tech shouldn’t be used for and start looking at what it can do to really improve our quality of life. I had been searching for a new electric toothbrush for a while and these aren’t usually something that excite me particularly, but the Philips Sonicare DiamondClean definitely did excite me as it was flashy looking and the initial price point when I picked one up was £250, and a lot of the time I like to believe that price speaks for the quality of a product, but the prices have plummeted recently, no points for guessing why that is when you read my verdict. In case you didn’t already guess from the past few years of articles, I really love premium technology and anything that looks impressively over the top, but in a minimalist and non-gaudy manner. The packaging of the Philips Sonicare DiamondClean is clean and minimalist, the cardboard isn’t the thickest, in fact it is actually quite thin and reminiscent of the cheap cardboard on the original Nintendo DS Lite packaging, but it doesn’t really need to be anything amazing when the internals are packaged so well and serves the purpose of protecting, informing and enhancing the presentation of the item as should be expected on an item of this price, though I do expect high quality packaging on all products that are inside of a certain premium price bracket as it shows respect for the customer and makes me believe that what I’ve bought is actually worth something. The upper right part of the box declares that it is the “No.1 recommended sonic toothbrush brand by dental professionals worldwide” which is a very big deal. 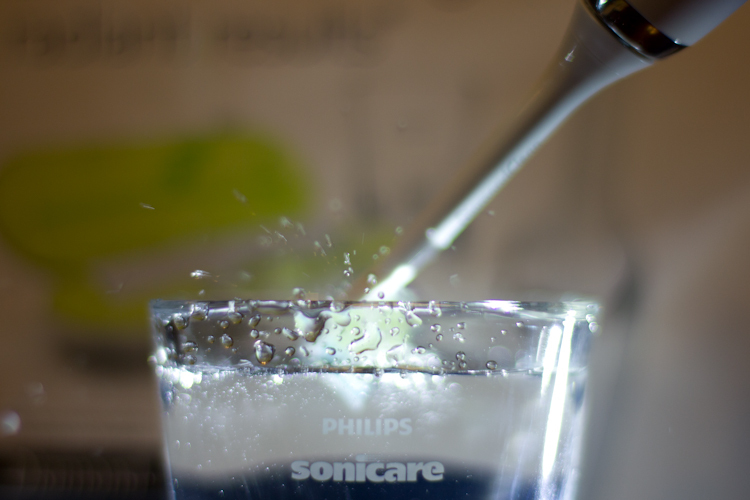 The sonic technology in the Philips Sonicare DiamondClean is patented, that means you won’t find this in the products of any other manufacturer, if you want the Sonicare experience, you need to buy a Sonicare, which the box describes as “dynamic cleaning action drives fluid between teeth and along the gum line.”. The manual itself is printed on fine quality paper which feels nice between the fingers, is easy to turn the pages of and the typography maintains the Philips standard of being clear and easy to read for people of all ages. The contents of the box are packaged individually and upon unboxing the contents I was immediately amazed by the quality of the charging glass itself, it is very substantial with a nice thick rim, a wonderfully hefty weight and it is the perfect size for my hands. Philips have done something very clever with the actual shape of the charging glass, it is a rounded square which is great for first thing in the morning when you’re not yet completely awake and can be a little clumsy, this thing won’t easily fall out of your hand. The glass itself adorned with the Philips Sonicare brand, upon closer inspection with my jewellers loupe, the brand itself is laser etched into the glass so that it will remain prominent and won’t fade away over time, a very nice touch and the sign of a great product when a company wants their name to be on it in the long run. The brush head itself has a plastic body, but it isn’t a kind of plastic I’ve seen in a consumer level product before, it has almost a bisque porcelain quality to it, it feels like so much more than just plastic, though the lack of some kind of grip is noticeable, especially when the toothbrush or your hands are wet, it’s very slippery. If Apple Inc. made a toothbrush; this would be what I would expect with a fine attention to the animation details like with everything prior to iOS 7. 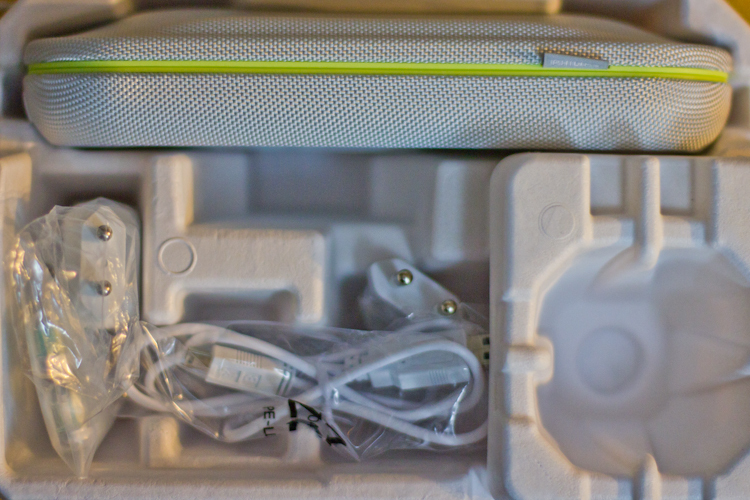 The Philips Sonicare DiamondClean has really nice visual effect when you remove the toothbrush from the travel case whilst charging where it will softly fade into life and present the various options to you. 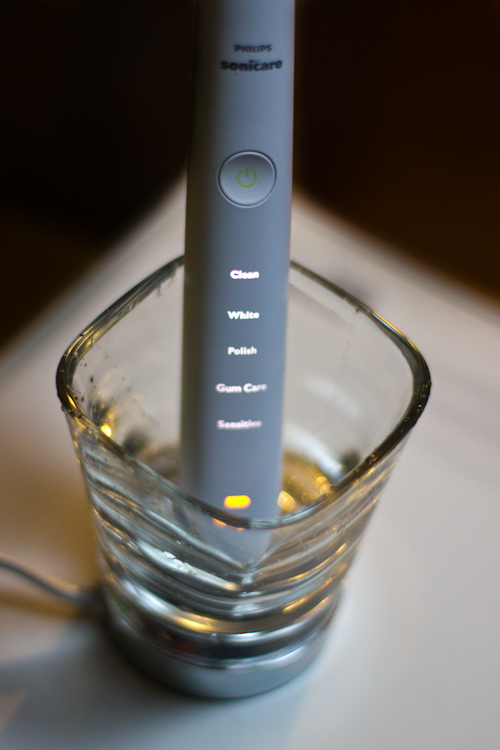 Whilst the Philips Sonicare DiamondClean is off, the menu system disappears entirely due to the way it is backlit through the handle which provides a futuristic and clean aesthetic, and the battery indicator turns orange and then blinks yellow when there are less than three uses left to give you advance warning to charge it. The box includes two DiamondClean heads, which are both slightly different from each other, one is the DiamondClean Standard and the other is the DiamondClean Mini. These two DiamondClean brush heads come with two brush head caps for hygiene, which is a welcomed addition if you don’t want to keep them in the travel case all the time. The two brush head caps slide on and off with a satisfying amount of feedback like pushing the lid back onto a highlighter with somewhat of a snap action, something missing from Oral-B brush heads that don’t include any form of cap and instead sit exposed on a tray that clips onto the charging base. The bristles themselves fade every three months to remind you to replace them to maintain optimal cleaning and hygiene, though having said that I found myself replacing my brush head once every month, the bristles just didn’t seem to last very long even with my light touch, I can only assume that my obsession for a thorough clean as I switched the toothbrush back on after it went through the automatic shut off for another round trip or two across both the top and bottom row of my teeth. I have a complete set of naturally straight and what I and my dentist consider pristine condition teeth, my smile is my favourite thing about myself, if I’m not enjoying a toothbrush or toothpaste I’m using, I can be quite self-conscious and not want to smile very much. I’m a little unusual in the fact that I enjoy visiting my dentist because I know that I come away with my teeth in the best condition and they always feel at their absolute cleanest. After just my first clean with the Philips Sonicare DiamondClean I was very aware of how much whiter my teeth were, and I already had what I deemed naturally brilliantly white teeth, I was amazed at the results, I ran my tongue across my teeth and they felt smooth and cleaner than they had felt since my last trip to the dentist, I wandered downstairs and showed my father who was very impressed with the results, I think that was what convinced him to purchase a DiamondClean of his own. The motor in the Philips Sonicare DiamondClean has a soft precision purr and is very quiet unlike the majority of electric toothbrushes I have used in the past, and features an optional ‘Easy-start’ feature which allows the user to become accustomed to the feeling of the toothbrush by gradually increasing the sonic power over the first fourteen brushings with the toothbrush. The Philips Sonicare DiamondClean box proudly proclaims that it “removes up to 100% more plaque from hard-to-reach areas” compared to a manual toothbrush, “improves gum health in only 2 weeks” and “whitens teeth in just 1 week”, these are bold claims. I can confirm that my teeth did actually become several shades whiter over the last few months, they’re stunningly bright white now. 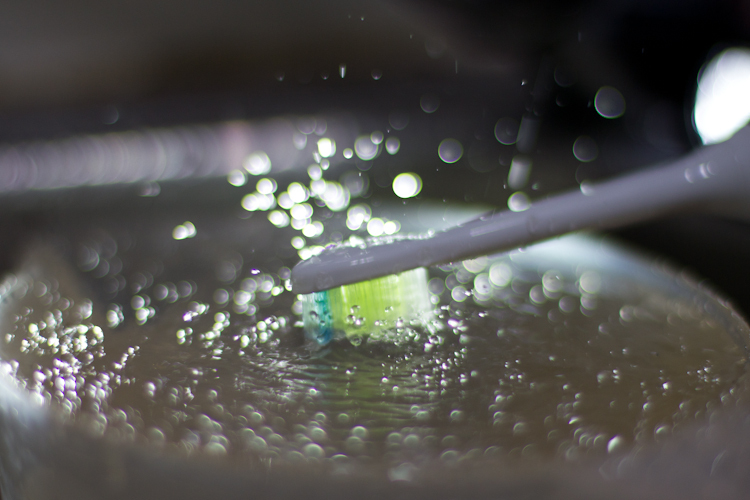 The Philips Sonicare DiamondClean is designed with the traveller in mind; the manual that comes with it even has a section called Travelling with your Sonicare. My particular Philips Sonicare DiamondClean was purchased in the USA and as such has an American plug on it, which is convenient for travel. On paper, this is the ideal toothbrush for using whilst on tour or on vacation, not only does it last for three weeks on a single charge, it is also incredibly easy to charge up whilst on the move thanks to the USB port on the base of the travel case which means you can charge it from your laptop. If you wanted to be especially space savvy whilst travelling, you could plug the included USB cable into an Apple iPhone or Apple iPad mains charging plug if you didn’t want to connect it to your laptop. The travel case is also held shut by a magnet, very much like the iPad Smart Cover. The travel case is sturdy and strong resisting even the strongest of squeezes from my large hands. The same snap action found in the brush head hygiene covers is reflected in the case itself with a snap action securing the brush heads firmly in place. Whilst charging the toothbrush, the battery indicator softly pulses green like a UNIX system heartbeat or more familiarly to most of you, a sleeping Mac. A quirk of the 1990s and 2000s was that the gifts you bought seldom ever included batteries, the modern equivalent of that is not including all the necessary cables, but Philips includes everything you need in the box which means you won’t have to hunt for a USB cable when you receive it, this makes the Philips Sonicare DiamondClean pretty great to give as a gift, as I demonstrated by buying one for Helen as I was that impressed with the Philips Sonicare DiamondClean within the two months of using it. The reality however is that I found myself charging the Philips Sonicare DiamondClean twice per week, it could be argued that the extra run round of it around my mouth drained the battery faster, but twice the use in one week equals two weeks, not three. I’m personally not a fan of the charging glass concept either; I much prefer a charging base; I wish that Philips had put more effort into the toothbrush itself rather than the accessories. I found myself charging the toothbrush in the travel case more often than the charging glass purely because it could be charged via USB, but notably this did take quite a long time even via USB 3.0 compared to charging it directly from the mains. Philips has successfully combined what they have learned from their range of professional healthcare solutions with a consumer appliance resulting in a prosumer experience, though unfortunately my Philips Sonicare DiamondClean failed after just seven months of use, a lot less than any other electric toothbrush I’ve used, surprisingly the cause of failure wasn’t a dead battery, but the motor had become disconnected from the shaft that oscillates the brush head itself. Due to the unit being sealed and non-user serviceable nature of it, there was sadly nothing that I could do because of it even though I’m infamous for my DIY hacks and fixes of commercial products, and although my two-year warranty was still valid, I didn’t have the receipt to hand. Whilst this is without a doubt the most elegant and futuristic toothbrush I’ve ever used and is very much the electric toothbrush that Apple Inc. would make if there was enough of a demand for one, the internals aren’t especially well made and it is overpriced for what it is. The point of failure is an unfortunate one especially considering that this is touted to be a travel toothbrush; having this fail mid-tour would not be great. The Philips Sonicare DiamondClean seems a lot like a fashion statement, whereas I can understand the appeal of having a glass and aluminium phone when people are going to regularly see it (Open season on Apple Inc. at Previous Magazine currently, but Apple Inc. just keeps doing things wrong with unreliable hardware and bad software), the materials just aren’t practical, and overall there’s not really any necessity to have a flashy toothbrush that hardly anybody is going to see except your other half and I’m sure I can think of plenty of other ways to show off like with a nice watch or new pair of premium sneakers, maybe even some new audio gear for the studio. It is a real pity that the Philips Sonicare DiamondClean is all style and not enough substance. Here’s hoping that Philips will manage to produce a solid and reliable toothbrush with the successor to the Philips Sonicare DiamondClean, as this is evidence of Philips continuing to innovate, but at a core level it fails in hardware quality, and that’s a huge pity as there is so much to love about this toothbrush. Although the Philips Sonicare DiamondClean is far from solid, it hasn’t spoiled Philips as a company for me, I still use a Philips HDTV and I’m very interested in their AirFloss products and electric shavers considering I can start to become a fuzzy faced ginger Viking after only twelve hours after a clean shave, I would definitely make my ancestor William the Conqueror proud with my ability to grow a good beard. I genuinely feel as if a lot of the efforts with the Philips Sonicare DiamondClean were put into the charging glass and travel case rather than the toothbrush itself, the Philips Sonicare DiamondClean ends up seeming a lot like a concept toothbrush with a prototype than a market-ready product that can compete with the other toothbrushes currently on the market. Since the failure of my Philips Sonicare DiamondClean, I’ve moved over to an Oral-B Triumph 5000 with Wireless SmartGuide as my dentist recommended, there will be a review of that to follow this soon, though worth mentioning is that my father’s Philips Sonicare DiamondClean also failed due to the same issue after just four months and has also moved over to an Oral-B Triumph 5000, but Helen’s Philips Sonicare DiamondClean is still functioning as expected. As I said before, Helen’s Philips Sonicare DiamondClean is still running perfectly, and if you’re willing to take a risk at the new £125 price point as of a few weeks ago then you can buy one from Amazon here, though I really do not recommend it and instead advise waiting to read my review of the Oral-B Triumph 5000.